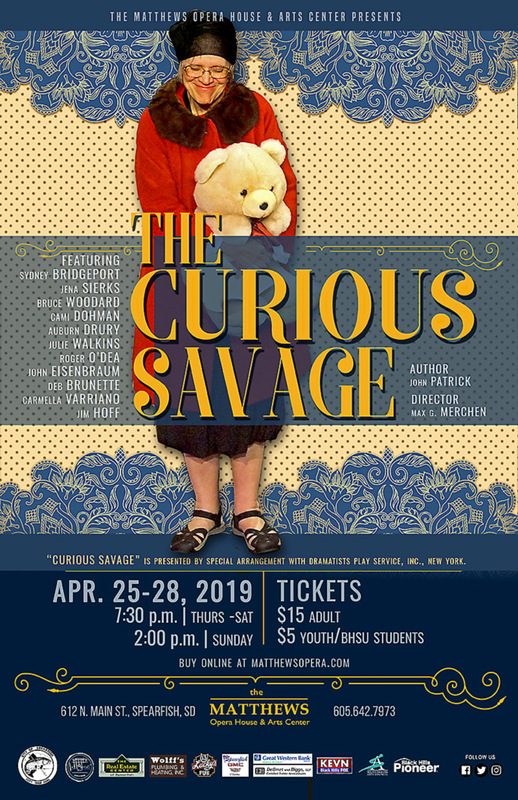 The entertaining community theater comedy, “The Curious Savage,” is the FINAL 2018-19 Subscription Series event. It is performed for four nights, April 25-28, 2019. Thursday through Saturday at 7:30 p.m. and Sunday at 2 p.m. Single ticket sales start for this play Sept. 1. 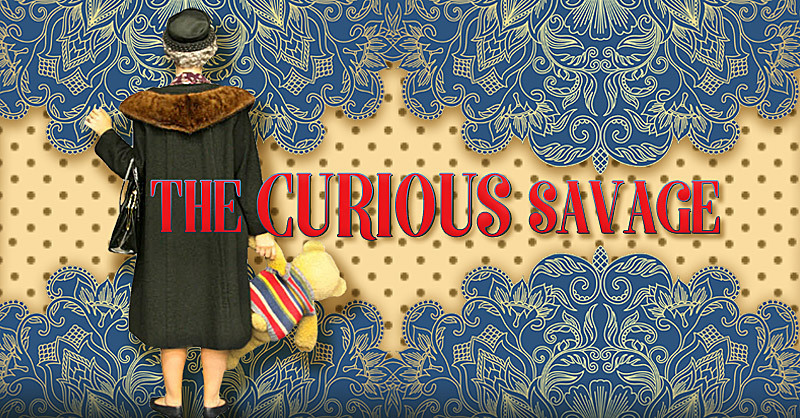 The entertaining comedy, “The Curious Savage,” written by John Patrick, is the story of an elderly widow, Mrs. Savage, whose husband left her $10 million dollars. She intends to give the entire fortune away to people who wish to pursue their dreams, but her stepchildren strongly object. To stop this, they commit her to a sanatorium where the gentle residents become her “new family.” Directed by Max G. Merchen. This entry was posted	on Sunday, February 4th, 2018 at 12:04 pm	and is filed under Community Theater, News & Blog, Subscription Series 18-19, Upcoming Community Theater Shows. You can follow any responses to this entry through the RSS 2.0 feed. Both comments and pings are currently closed.